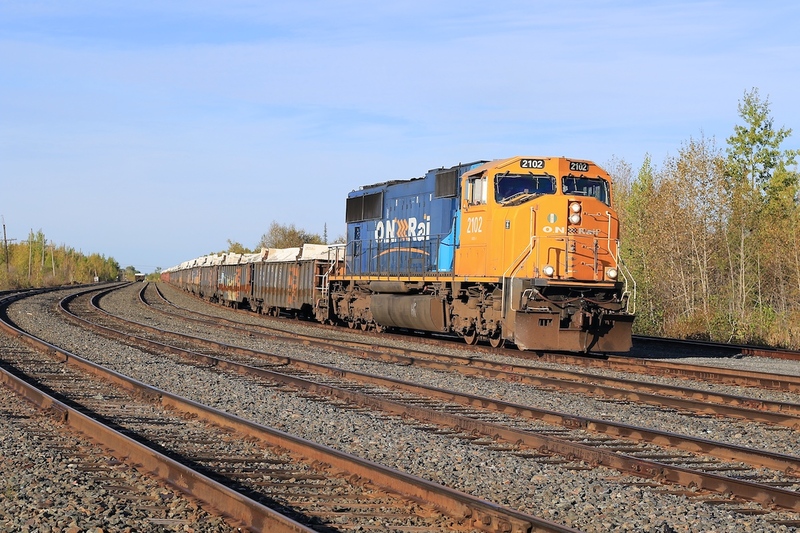 Railpictures.ca - Craig Allen Photo: With 31 loaded gondolas of copper sulphide ore, 2102 slowly pulls out of Kidd Yard to begin the 104 mile journey to Englehart. | Railpictures.ca – Canadian Railway Photography – photographie ferroviaire Canadienne. Caption: With 31 loaded gondolas of copper sulphide ore, 2102 slowly pulls out of Kidd Yard to begin the 104 mile journey to Englehart.